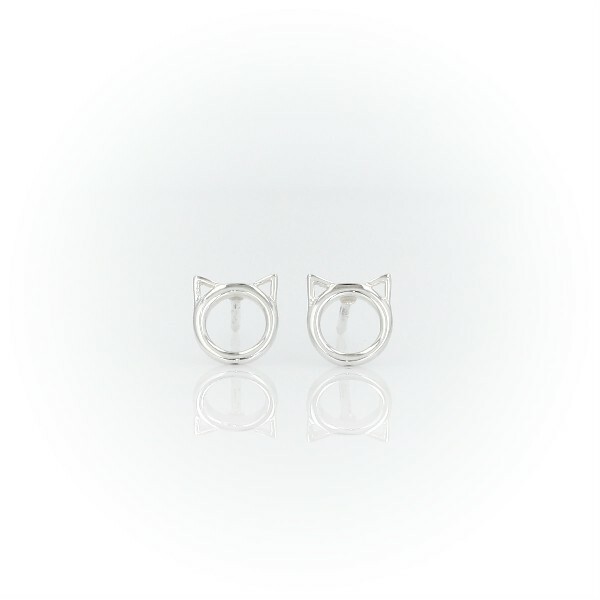 Channel your inner cool cat with jewelry that is definitely the cats meow. Simple sterling silver rings are topped with pointed ears for a clever silhouette. With push backing closure.